When you think of a chiropractic clinic's offerings, laser beams may not be the first thing to come to mind. But here at Milam Chiropractic & Sports Therapy, we go way beyond chiropractic adjustments to bring our patients the widest possible range of conservative, non-pharmaceutical non-invasive healing modalities, integrated as needed into your individual care and treatment plan. One of the most unusual and remarkable of these options is cold laser therapy for the treatment of soft tissue pain, inflammation and injuries -- and you can experience it first-hand from our Tustin chiropractor, Dr. Milam. The term "cold laser" refers to the frequency level of the amplified light emitted by this particular type of laser. You may already about that surgical laser emit a beam that can cut and cauterize tissue with tremendous precision. Cold or low-level laser therapy offers a similarly precise beam, but at a frequency that does no harm to the tissues at all -- in fact, it passes right through the skin to a specified depth without causing any sensation other than a pleasant warmth. 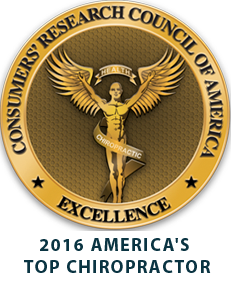 What Can Cold Laser Therapy Do For You? The energy of the laser beam conveys some amazing healing effects. For one thing, it stimulates cells to step up their production of ATP, the substance cells use as "fuel" for their repair processes. The result is speedier healing of muscles, connective tissues, blood vessel walls and even nerves. Cold laser therapy also enhances blood and lymph flow to injured tissues, helping them expel inflammatory substances while reliving acute or chronic pain. Better yet, our Santa Ana and Irvine laser therapy is completely safe, so you can schedule sessions as frequently as necessary without worrying about side effects or complications. 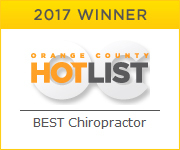 Our chiropractor in Tustin prescribes cold laser therapy for a variety of conditions, often as a supplement to spinal adjustment and other healing techniques. For instance, its ability to control pain and inflammation makes it an ideal treatment for osteoarthritis, offering significant reduction in bone-on-bone knee pain. Neuropathy sufferers will appreciate its ability to normalize and stimulate nerve function. Injury victims or patients recovering from an invasive surgery will love the fact that our Irvine laser therapy helps them grow new collagen and muscle tissue for faster wound healing. Even people with chronic immune system disorders can benefit from the improvement in lymphatic system function offered by our Santa Ana cold laser therapy. Milam Chiropractic & Sports Therapy is proud to serve as a trusted provider of cold laser therapy in Tustin, Irvine and Santa Ana. But as safe as this procedure is known to be, it isn't necessarily right for everybody. Contact us, or call (714) 731-9355 to schedule an appointment with our chiropractor in Tustin!